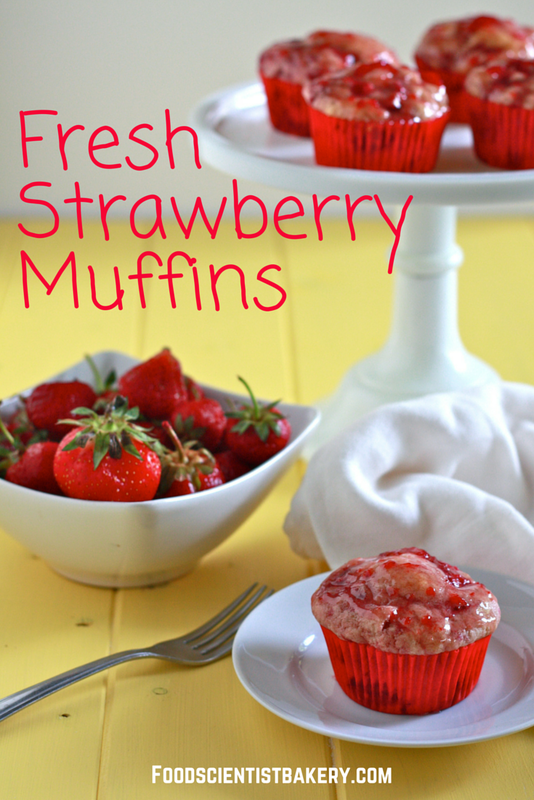 I love strawberries fresh or in ice cream, but baked? I was afraid I’d lose that sweet berry flavor! I asked for suggestions on Facebook for what to bake with all my fresh berries, and a friend suggested muffins. I said I’d give it a shot, and wow, I’m so grateful she said that! These are amazing. Proof that other people are much smarter than I am. 🙂 These are a perfect breakfast, treat, or even dessert. The glaze is sweet but adds a nice shot of flavor. You can definitely skip it, though. I’ve been off work for a few weeks now, and I have to admit I’m loving it. School tends to fill every crack in my mind, and I’ve been doing it continuously for the past 2 years, as well as working full-time or part-time. This is a real treat for me to have a break from everything for a few months. My husband is amazing and very supportive of it. Might have something to do with all the food I’ve been making. Not sure. I’m just grateful that I’m able to have some time this summer to enjoy it, relax, and blog some recipes. I love working and I love learning new things in school, don’t get me wrong. I’m just learning to appreciate whatever life throws my way! Today that meant blogging for hours and eating two of these muffins with some coffee. I’m totally okay with that! Preheat oven to 400 F. Line a muffin pan with 9 paper liners. In the bowl of an electric mixer, cream butter and sugar until light and fluffy, ~2 minutes. Add egg and mix well. Add buttermilk and vanilla and beat on medium for 30 seconds. Add flour, baking powder, and baking soda and beat on low just until combined. Gently fold in strawberries. 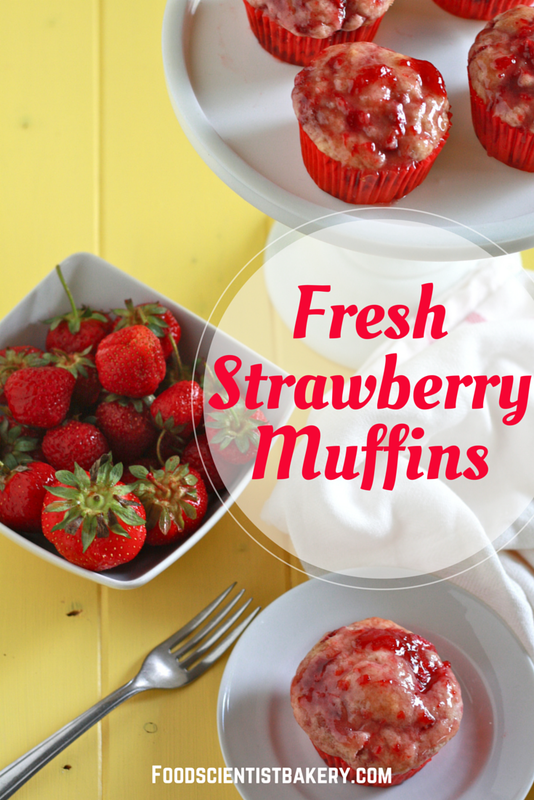 Using an ice cream scoop or two spoons, pour batter into muffin cups, filling 3/4 full. Bake for 16-18 minutes, or until toothpick comes out clean. Let cool for 5 minutes and remove to cooling rack. Cool for 10-15 minutes before applying glaze. Whisk all ingredients together. 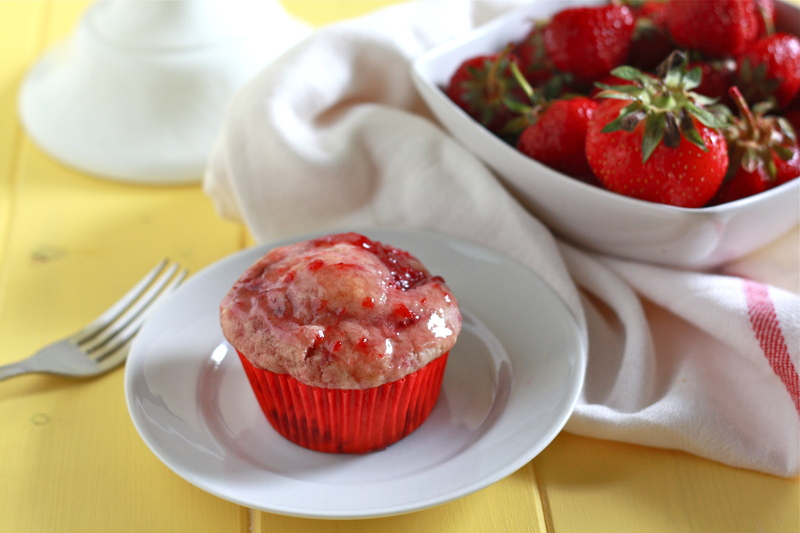 Use a spoon to pour glaze on muffins, allowing excess to drip off (place some wax paper below the wire rack that the muffins are on for quick clean-up). Eat immediately or let cool. Store in fridge for 3-4 days, or freeze for up to one month.